his book provides an introduction to the theory and design of composite structures of steel and concrete. Material applicable to both buildings and bridges is included, with more detailed information relating to structures for buildings. Throughout, the design methods are illustrated by calculations in accordance with the Eurocode for composite structures, EN 1994, Part 1-1, ‘General rules and rules for buildings’ and Part 1-2, ‘Structural fire design’, and their cross-references to ENs 1990 to 1993. The methods are stated and explained, so that no reference to Eurocodes is needed. 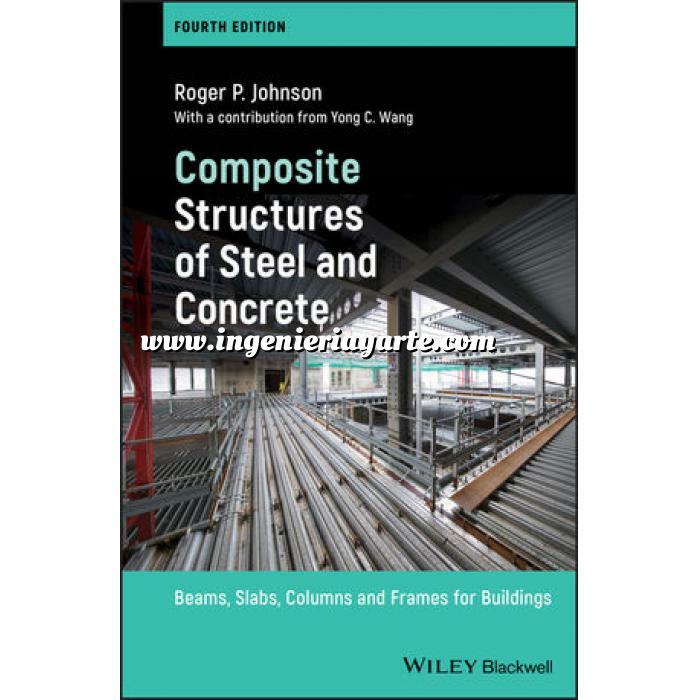 This book provides an introduction to the theory and design of composite structures of steel and concrete. Material applicable to both buildings and bridges is included, with more detailed information relating to structures for buildings. Throughout, the design methods are illustrated by calculations in accordance with the Eurocode for composite structures, EN 1994, Part 1-1, ‘General rules and rules for buildings’ and Part 1-2, ‘Structural fire design’, and their cross-references to ENs 1990 to 1993. The methods are stated and explained, so that no reference to Eurocodes is needed.